Watching a recent episode of My Love Story I got thinking about how realistic and down to earth the series is being. Sure there are most certainly a few things that are a little on the crazy side, but for the most part it’s doing better than Kiss Him, Not Me for example. Of course most of us read manga and watch anime and don’t really expect or want it to be down to earth and completely realistic, but in some ways I think it’s important to have a few series that break the trend of being completely sakura blossoms and overblown teenage feelings. Lets take a favourite series of mine, Say I Love You as a perfect example of what I’m going for here. The story is focused on shy Mei who has never really had any friends and certainly isn’t thinking of dating, but when she meets Yamato that slowly changes and the two of them must work through their problems, very real problems that couples have, if they wish to stay together. What makes this better is that the manga, given it has more time than the 13 episode anime, deals with a lot of problems that everyday kids go through at one point or another. I appricate the series a hell of a lot for this, especially author Kanae Hazuko who is heavily writing from her own personal experience. 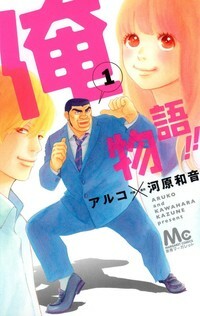 This entry was posted in Anime, Anime Features, Features, Manga, Manga Features and tagged Anime, Dengeki Daisy, Feature, Kimi Ni Todoke, Kiss Him Not Me, Love So Life, Manga, My Love Story, Say I Love You, Your Lie in April on 12th June 2015 by Demelza Ward. The Devil Is a Part-Timer is yet another example of a series where I experienced the anime first and then have read the light novel. This is of course due to the light novel scene outside of Japan not really existing until well after the original anime was a thing, but nevertheless we have it now! The Devil Is a Part-Timer is probably also yet another example of a series I like quite a bit more in its original form rather than as an anime. 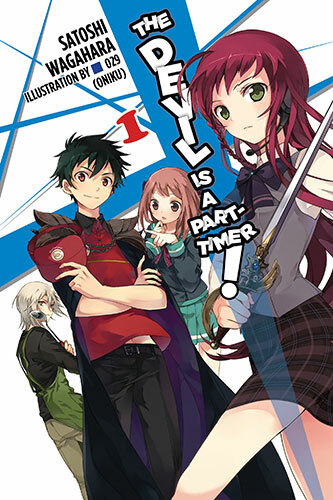 This entry was posted in Light Novel Reviews, Light Novels, Reviews and tagged Light Novel, Review, The Devil Is A Part-Timer, Yen On, Yen Press on 1st June 2015 by Demelza Ward. 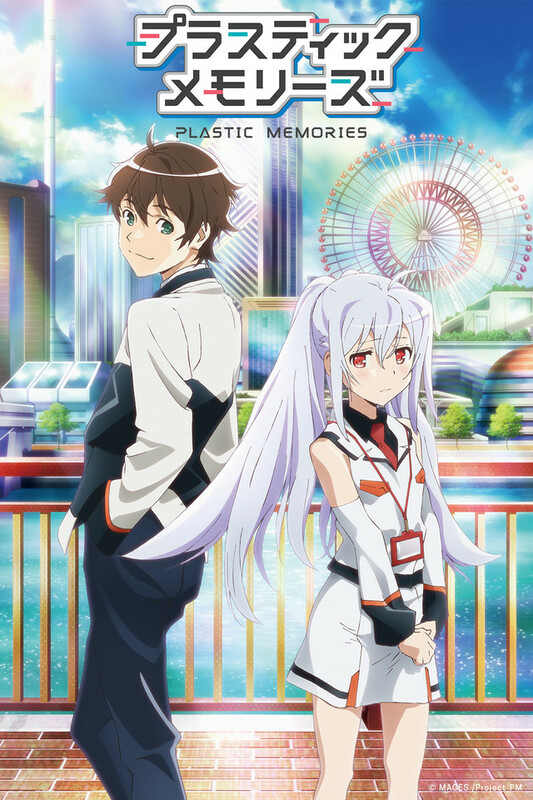 One of the shows which was hyped up at the beginning of this season is Plastic Memories. The idea behind the series is that in a city in the near future humans and androids can live comfortable side-by-side. These androids look and act like humans, with human memory and emotions, the only drawback is that the androids only have a short lifespan before they begin to lose their human personality and their memories. It’s then the job of a Terminal Services to collect these androids just before the end of their lifespan to avoid any unfortunate accidents when they begin to lose their personalities and memories. The idea of humans and androids living side-by-side is an interesting one, but ultimately one that Plastic Memories wastes in the end. It’s worth noting that this article will include spoilers for Plastic Memories. This entry was posted in Anime, Anime Features, Features and tagged Anime, Crunchyroll, Feature, Time of Eve, Viewster on 28th May 2015 by Demelza Ward. When I last reviewed Fuuka I was full of praise for the series and how it handles itself, but had I continued reading the series just a few more chapters I think I would have changed my opinion slightly as chapter 36 actually turns the series on its head in a number of ways. The following review contains some major spoilers for Fuuka! 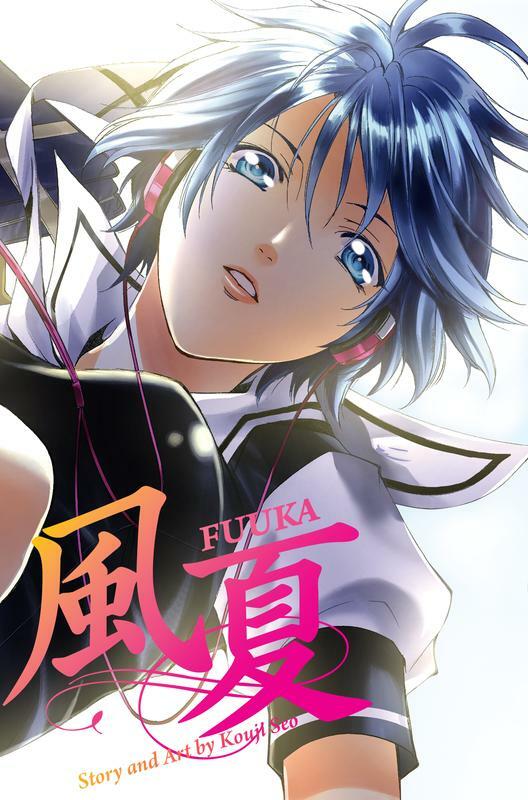 This entry was posted in Manga, Manga Reviews, Reviews and tagged Crunchyroll, Fuuka, Manga, Review on 27th May 2015 by Demelza Ward. 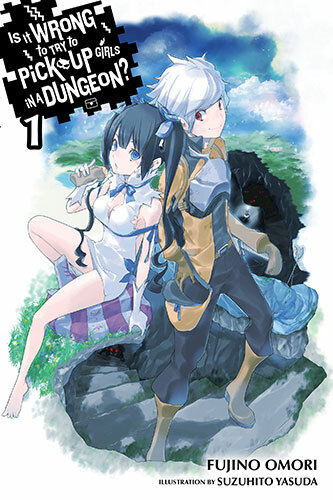 When I reviewed the first volume of Is It Wrong to Try to Pick Up Girls in a Dungeon? I found myself very taken with main character Bell and the world in which he lives. Considering how much I enjoyed the first volume in the series I went into the second with hopes of something which could perhaps double my love for the series, I mean surely with world building and such out the way the story would draw me in all the more. Well, the second volume kind of lived up to my hopes but it also has its own problems. 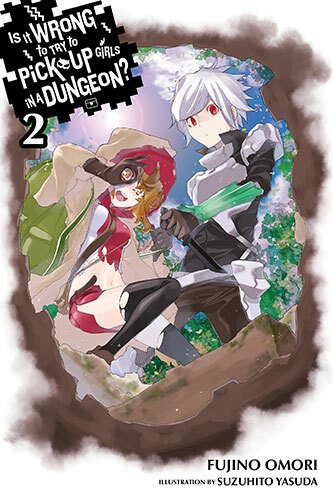 This entry was posted in Light Novel Reviews, Light Novels, Reviews and tagged Is it wrong to pick up girls in a dungeon, Light Novel, Review, Yen Press on 22nd May 2015 by Demelza Ward. It’s not hard to stumble across Sword Art Online when talking about recent anime hits. Based on a series of successful light novels, the anime told the story of thousands of people trapped within a video game. What the anime didn’t do however is tell this tale from the first floor of Aincrad up, although the original light novels didn’t either so it can hardly be faulted. That said, one of the more interesting aspects of Sword Art Online has always been the world of Aincrad and thus the Progressive series of novels are here to answer a lot of our questions and tell a brand new tale. This entry was posted in Light Novel Reviews, Reviews and tagged Light Novels, Sword Art Online, Sword Art Online: Progressive, Yen Press, YenON on 20th May 2015 by Demelza Ward. Your Lie in April tells the story of Kosei Arima. A child prodigy in piano who steps away from the limelight after the death of his mother effects him so badly he can no longer hear the notes he plays. Fastforward a few years and Kosei is introduced to Kaori Miyazono, a free-spirited violinist who slowly encourages Kosei to take up piano once more. It’s a simple story on the surface but with a brilliant amount of depth under it all. 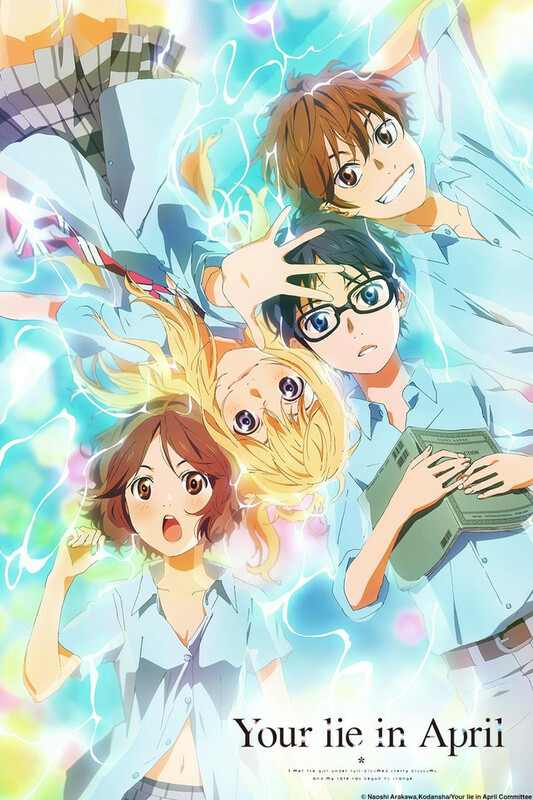 This entry was posted in Anime, Anime Reviews, Reviews and tagged Anime, Crunchyroll, Manga, reviews, Your Lie in April on 27th March 2015 by Demelza Ward. Is It Wrong to Try to Pick Up Girls in a Dungeon? is an interestingly named light novel that Yen Press have just started releasing under their Yen ON imprint. It would be fair to say that going into the series I really wasn’t expecting a great deal, more than anything I wanted to give the series a chance before the anime is aired later this year. However what I found from reading the novel left me pleasantly surprised and now somehow I’m eagerly awaiting more of this story. 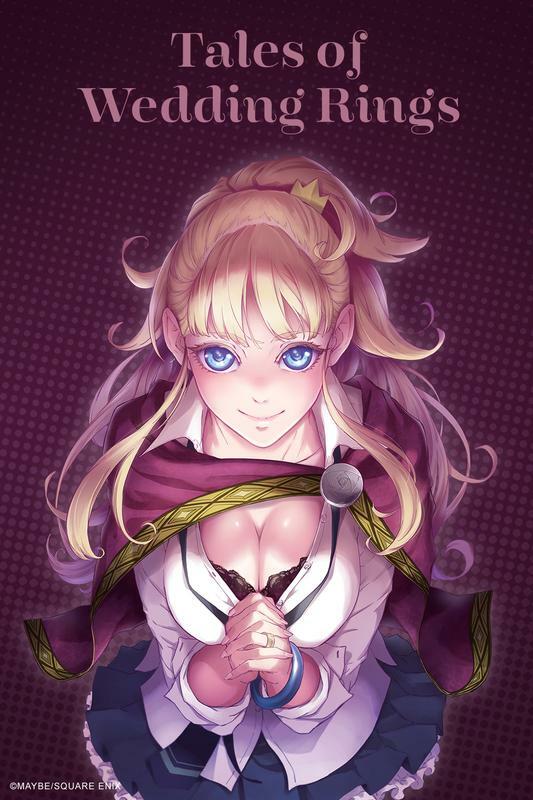 This entry was posted in Light Novel Reviews, Light Novels, Reviews and tagged Anime, Is it wrong to pick up girls in a dungeon, Light Novels on 26th March 2015 by Demelza Ward. The beginning of dark shonen series, Akame ga Kill feels like a long time ago now. I’ve been watching the series every week since July. It feels like I’ve been watching this show for a lot longer than that, but by no means in a bad way. With the series having finished its run last week I can put my thoughts together for a review now! 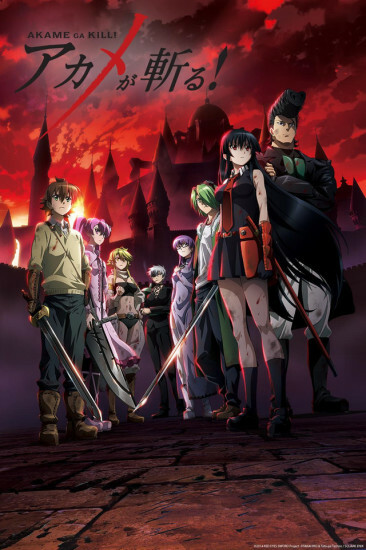 This entry was posted in Anime, Anime Reviews, Reviews and tagged Akame ga Kill!, Anime, Crunchyroll, Review on 18th December 2014 by Demelza Ward.